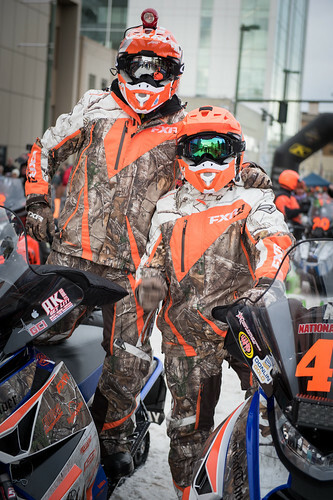 Up to two approved mechanics can help racers for a limited time while in the Nome garage. Here, assistance is given to 2018’s rookie Zack Weisz, of Team 5. 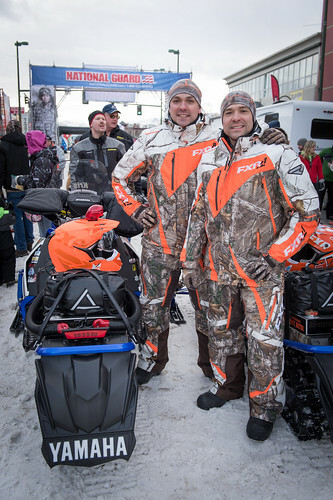 WHEN IRON DOG RACERS HEAD OUT into the great Alaska unknown, they are pretty much on their own. That’s why it’s so important that they not only know how to ride, but also how to fix their machines should problems arise. But a mechanical issue can stump sometimes even the best riders. And if they can limp into the halfway point in Nome, help will be there for them. 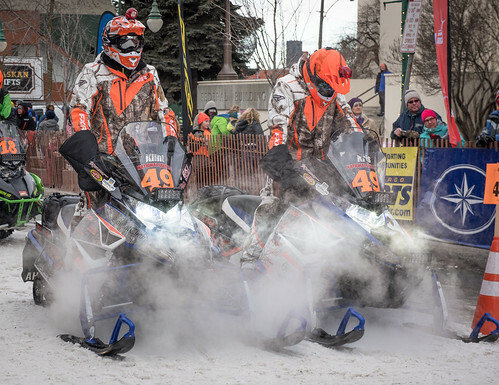 Once the racers reach Nome, they can rest their bodies and recharge their machines. 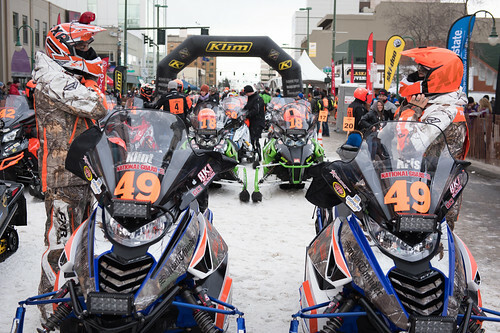 There, racers are allowed a short window in which to inspect their snowmachines, schedule maintenance and even have the help of up to two approved assistants during their brief shop visit. This all happens in the Nome garage, and it is a place of unprecedented activity during the days leading up to the halfway restart. “There is so much going on there,” said Lee Butterfield, a South High teacher whose students will be filming in the garage during the checkups. 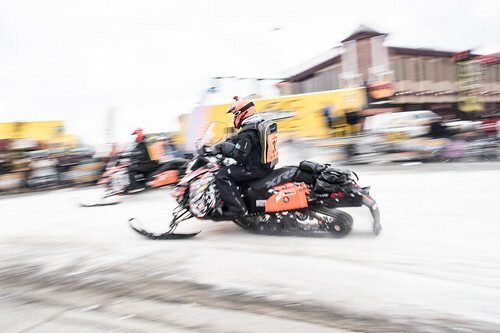 According to race rules, as racers arrive in Nome, they take their sleds in for the checkups. 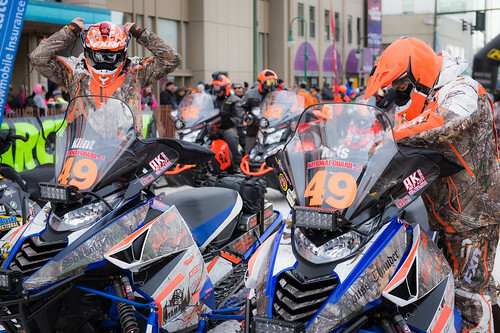 After letting the machines thaw out a bit, racers have 15 minutes off the clock to inspect their machines and ask for assistance. After the brief inspection, racers then strategize, getting the parts they need and coming back later for their timed and scheduled work. 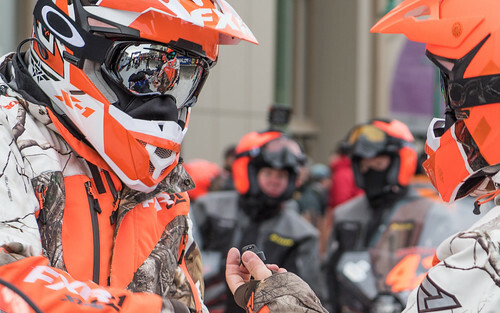 Their efficiency – or lack of it – adds an exciting element to the race strategy. 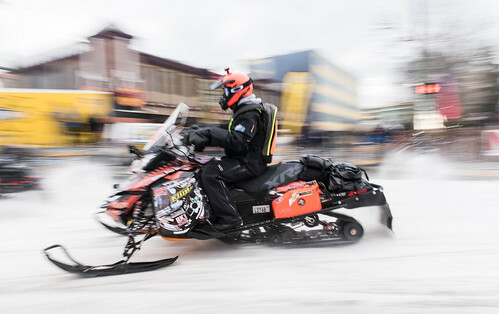 A team that arrived five minutes ahead of another to Nome, for example, can lose that lead-time if they spend that many more minutes than their competitor working on their sleds. All of a sudden the lead team is behind by a minute, all because they changed a part out slower than the other racer or had larger mechanical issues with which to contend. Spectators can watch the action from a cordoned-off section of the garage; it looks a bit like an arctic version of a NASCAR pit stop.